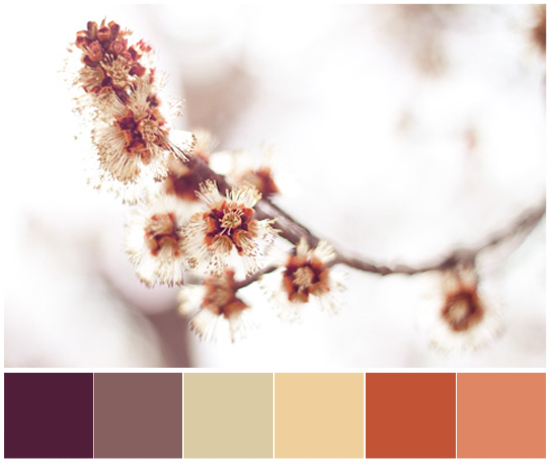 Choosing a color pallet can sometimes be the most difficult decision when designing a space. I will usually look through books and magazines for inspiration. Yet, I sometimes fail to notice the natural color pallet right in front of me. This photo was taken from a blossoming tree branch in my backyard, I love the soft pink and champagne hues, both sophisticated and chic. Perfect for a little girls bedroom, perhaps? Anyway, you get the point right? Next time your in need of a color pallet don't forget to look out your window, you may just be surprised at what you find! genius! choosing the paint color is always the hardest for me...this definitely helps.